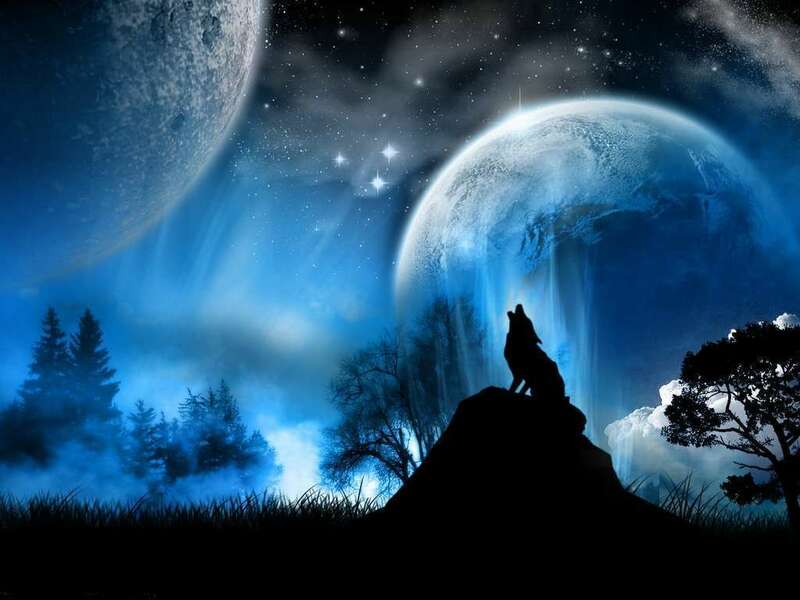 There are 11 posts in this thread, and it has been viewed 10224 times. There's also files attached. 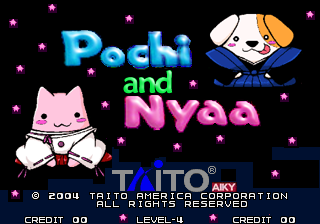 How Obscure is Pochi and Nyaa to You! 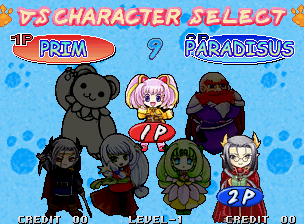 It's an Obsucre game thats like SPF and Puyo Pop! 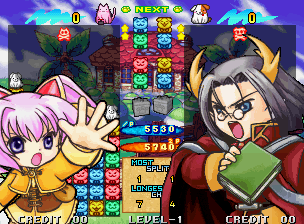 Pochi and Nyaa is a puzzle game made by Taito (Makers of Puzzle Bobble/Bust-A-Move) and Aiky. 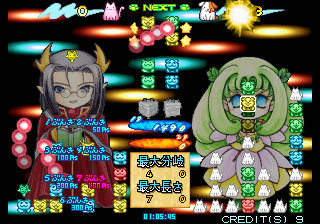 (Bandai and Compile also distubuted the PS2 Port. 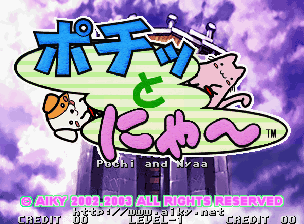 ), The story behind it is that in every 1000 years there is a Tournament held by the animal gods Pochi (the Dog) and Nyaa (the Cat) in desicion who will be the top star for the next millennium, although they need the power of Earth's people to do so. 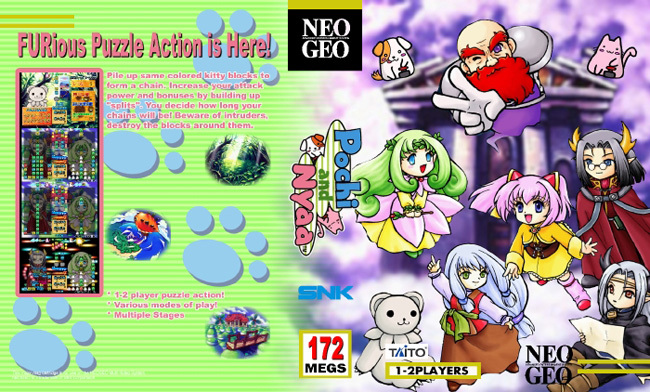 The gameplay is similar to Super Puzzle Fighter and Puyo Pop, but with a few differences, although this is an Obscure and Cute game, too bad it never had an AES release, although they made a PS2 Version, and apparently the MVS had 2 versions V.1 and V.2 (you'll see in Title Screen Pics below). 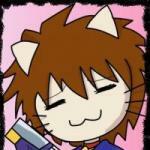 Yeah, At least Cat would be happy, but I'll leave some other GotW's to him, will take a break from it now. 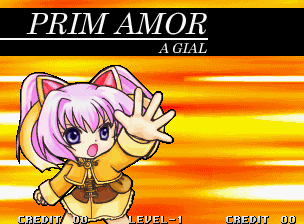 This is possibly one NG game that I have not played ( not even on emu). It looks good but it makes me wonder just how many of these block type puzzle games actually exist. They must be huge in Japan and I admit they can be fun but the sheer quantity of them just defies belief. It looks a little like Wind & Water Puzzle on the DC which is one of the few puzzle games I own. I shall check on my emu disks and see if I have this on it, if so I will have a blast and let you know but its probably not a game I will make an effort to track down if I don't have it. Never heard of it. And why isn't the GotW on the home page? It is, its just in the little square where the GotW is at, although Cat is kinda lazy to put it up in the Middle (News). how did you get v.2 of the game?